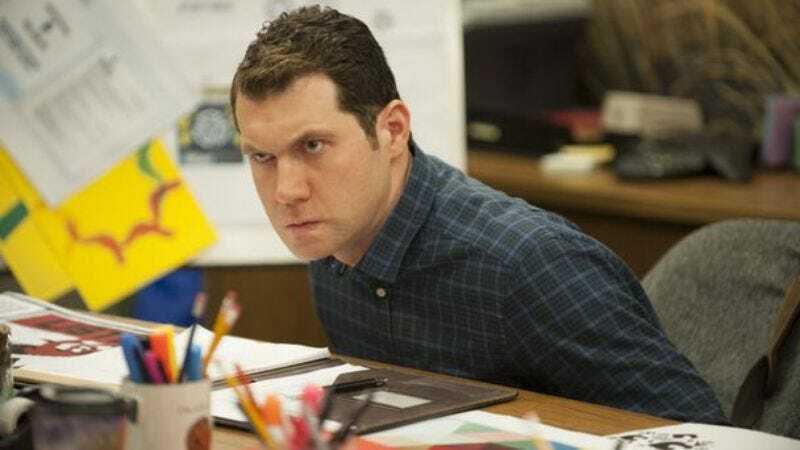 Ensuring that whatever problems plague Seth Rogen and Rose Byrne in the upcoming Neighbors 2, they’ll be presented at a high-volume run, comedian Billy Eichner has signed on for the sequel to the 2014 hit. According to Variety, the film’s plot is still unknown, so there’s no clue whether we’ll be seeing the kind Billy Eichner—the one who hands out ego boosts to poor old Paul Rudd—or the evil Billy, who dispenses Emmy-related humiliation to poor old Seth Meyers, when the film ultimately debuts. Eichner joins a cast that already includes the returning Zac Efron and Dave Franco, along with franchise newcomers Chloë Grace Moretz and Selena Gomez. The Billy On The Street star was also recently cast in Will Ferrell and Amy Poehler’s The House, suggesting that he’s tapping into this new “we’re parents, but we sure do get up to some stuff!” sub-genre with shouted, sprinting gusto.